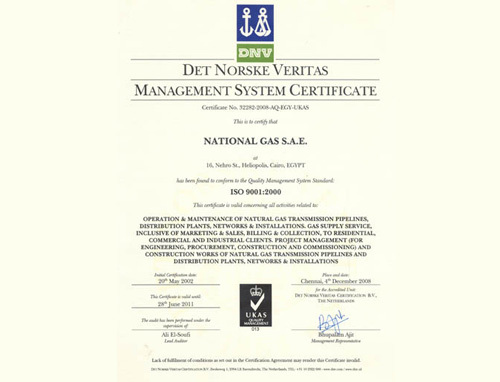 National Gas is committed to operate to the best standards in all its activities, in accordance with the guidelines expressed in the statement of its Mission. 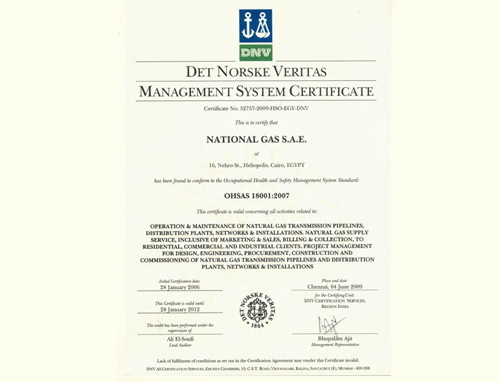 National Gas started its journey with ISO 9001(Quality Management System), which it obtained in 2000, making National Gas the first Egyptian company in its sector to obtain such a certification. The ISO 14001 (Environmental Management System) and OHSAS 18001 (Occupational Health and Safety Assessment Series) certifications, were soon to follow in July 2003 and January 2006, consecutively. Renewals of the certificates are carried out with vigor and precision. We have at least one external audit per year to access our processes and systems. 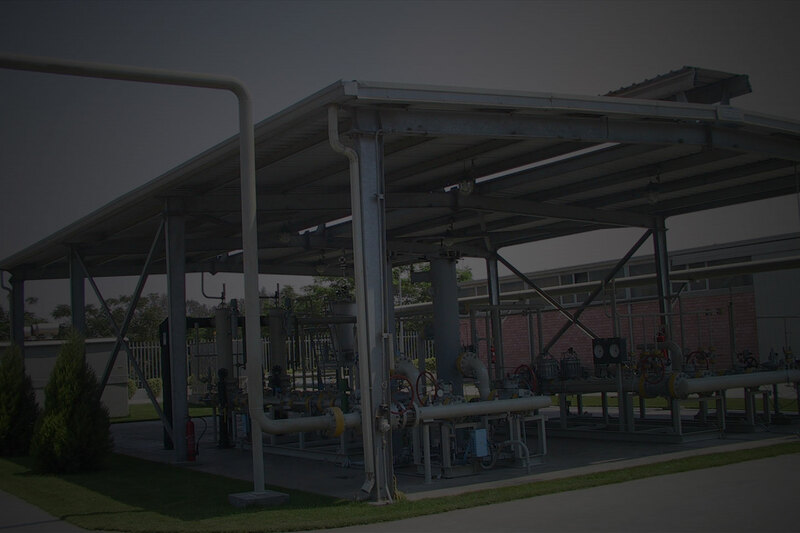 These audits ensure that we stay on track, in compliance with our certified systems. 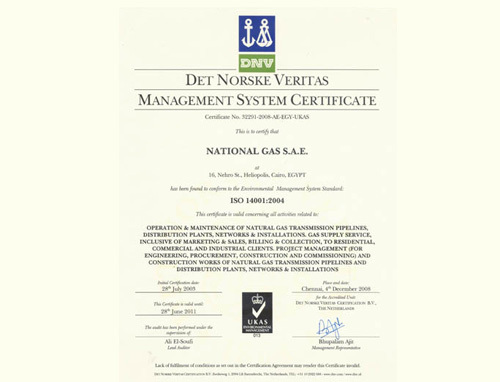 On 28 July 2014, at the end of the final audit by the auditors of Det Norske Veritas (DNV), National Gas renewed the certification of conformity to the ISO 14001 International standard for the Environmental Management System (EMS). The Company Environmental Management System (EMS) was developed by taking benefit of the existing structures, practices and documentation of the Quality Management System, for which the ISO 9001 certification had been obtained previously. All the staff was involved in the development, with the full support of the Management. Several awareness courses and training sessions were held at the various levels. 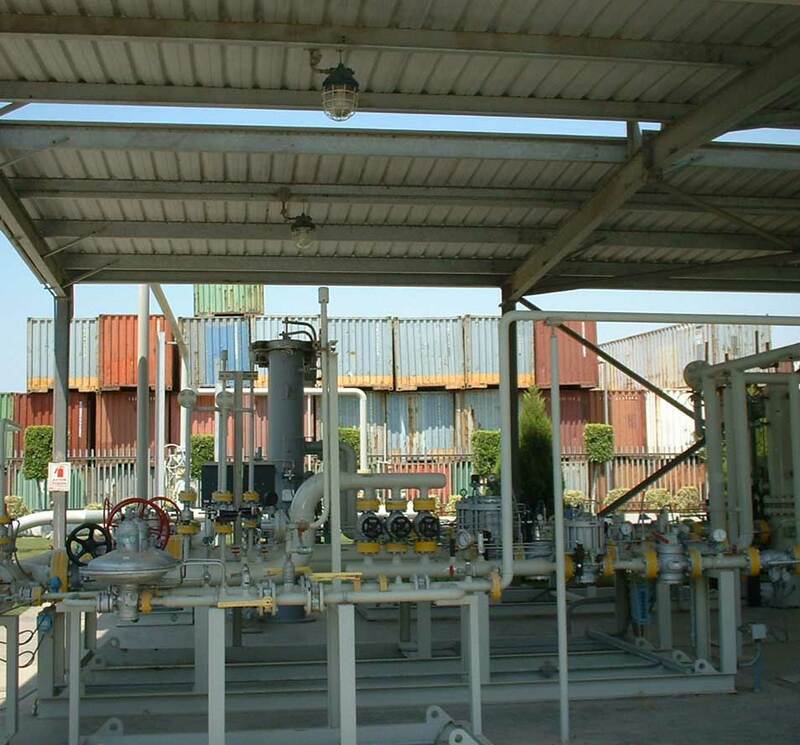 The EMS, aiming at prevention of pollution, protection and improvement of the environment in all company activities, enhances the “environmental friendliness” which is intrinsic to National Gas business, which, by expanding the use of a clean fuel for domestic and industrial consumption as an alternative to other fossil fuels, contributes to improve the environment. As the next step in the development of Company Management Systems, the Occupational Health & Safety System is has been obtained and renewed to accommodate with the internationally recognized OHSAS 18001 standards.